The dream of having a boat for a whole day just for you and your party, together with a skipper to accompany you, can now become true. Book the trip with us and gain an unforgettable experience. You set off from Limni Keri at 9 o'clock in the morning. 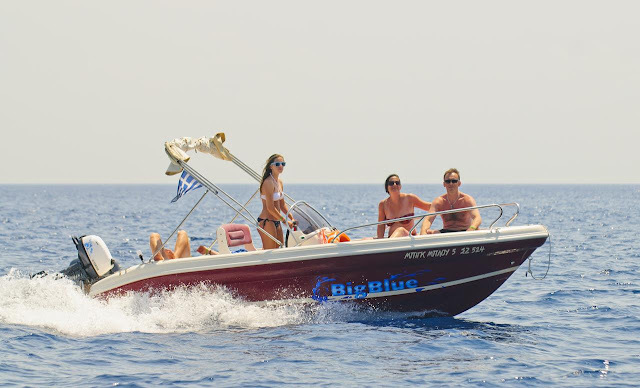 The boat is available until the sunset and so is the experienced skipper who will take you to the most beautiful Zakynthian spots.You can choose where to stop but, as locals, allow us to recommend you some really exciting places. First you sail to Laganas Gulf with a route towards Marathonisi, the turtle shaped island. You continue to the private island Cameo and reach Marathias, a unique beach with crystal sea water. Kamares, Oasis beach and Keri Caves are famous for their natural beauty, especially in the caves as the light reflects on the rocks it creates colorful shades. Mizithres two huge rocks, standing in the middle of the sea is the perfect place for photos. Pisines, Agalas Caves, Korakonisi, Porto Roxa, Limnionas, Porto Shiza and Porto Vromi are also spots worthwhile seeing or stopping at them as the scenery is magical. 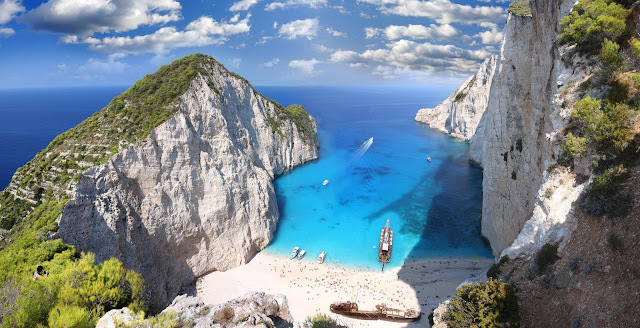 Navagio beach is the final destination of the trip. What can be said about this sight? The imperious rocks, the white sand, the clear, blue sea water compose a picture that is impossible to be described. 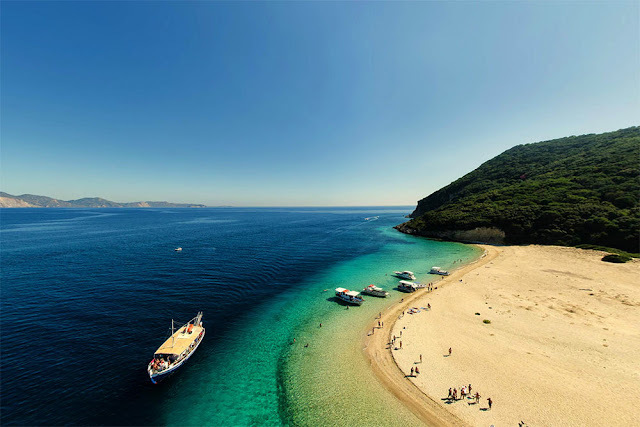 Stop in any beach you find interesting and enjoy the Greek sun and the majestic sea. Keep the memories by taking as many photos as you can. After this fascinating day full of pictures you return to Keri while the sun sets. For the resorts of Alykanas, Alykes, Amoudi, Kalithea, Psarou, Gerakario, the pick-up point is at Popeye's restaurant in Tsilivi. To book a trip, please contact us daily from 09:00 a.m. until 12:00 night time. Tags: private boat trip to Navagio, private boat trip with friends to Navagio, boat trip for couples to Navagio, boat trip to Laganas Gulf with skipper, private boat trip from Keri Caves, see the majestic sea waters in Navagio. Boat trip is really awesome. You get a lot of inspiration from it. If you are looking for golden horn brac,then you can contact mayer-charter for more information.